After a vibrant month in Mexico, JNR now heads to the tropical paradise of The Bahamas, where the mouth-watering cuisine includes fresh seafood, tropical fruits and local spices. The Bahamas are comprised of over 700 islands giving the cuisine notable variations. Due to ample availability, seafood is a staple and features prominently on menus throughout the region. Conch, crab, lobster, shellfish and an array of fish are caught daily off the coasts. The climate allows for a range of delicious fruits to grow plentiful. Coconut, guava and bananas are never hard to find. 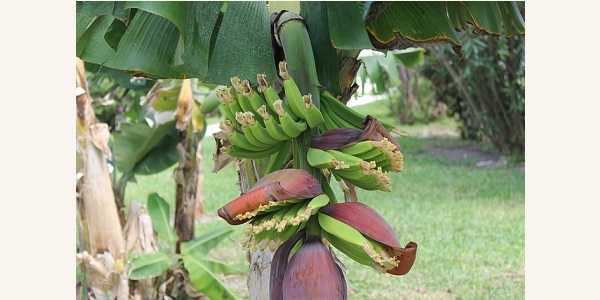 Bananas grow year round in the Bahamas and are used for medicinal reasons as well as in a variety of popular dishes. Today, we share with you a recipe for Island Banana Bread. Combine the sugar and butter in a bowl using an electric beater. Add the eggs and the mashed bananas. Mix the baking soda into the milk in a small dish. Alternate between adding the milk mixture and whisking in the flour into the sugar mixture until combined. Add the pecans and mix through with a spoon. Grease a 9” x 5” bread pan and pour mixture in. Bake for 45 minutes or until mixture has browned and the top springs back when lightly touched. Island Banana Bread is best served immediately warm. If you would like to learn about the beautiful culture and delicious food of the Bahamas, please email jnrinfo@jnrcorp.com.